Coming up with memorial service ideas doesn't have to be a daunting task. Since there really isn't a set format to this type of service, there are many possibilities to making this memorial unique to the person who died. This slideshow will serve as a guide as you plan a memorial service. Many of the ideas presented here can be used for the service of most loved ones. Memorial services are held either in lieu of a funeral or on the anniversary of the loved one's death, although the person's life can be celebrated at any time. Unlike funerals, memorial services aren't necessarily held in a church. When deciding on where to hold a one, choose a venue that is a good representation of the person who died, but also a place where everyone in attendance will feel comfortable. Some locations suitable for a memorial service include a park, cemetery, community center, beach or lakefront, loved one's residence, church or other religious setting. However, check with local laws since permits may be needed for large gatherings in a public place. Music plays a large part in memorials, so when deciding on what pieces should be a part of the service, keep in mind a few things. Will the music be broadcast through speakers or will someone sing the tunes? Do you want to use contemporary or modern songs or stick with traditional funeral hymns? Are the songs appropriate for a memorial service or will some attendees be offended? The music for a memorial should be reflective of the person who died. If he or she was a country music fan, then this type of music would be perfect for a service. Take your time and scour your CD collection or iPod downloads. You can create a simple memory booklet to hand out to attendees. This can be as elaborate or as simple as you like. Make sure to include the deceased person's full name, as well as birth and death date and any other information you want to include. Favorite poems, anecdotes, songs and stories always make good material for a memory booklet, as well as images of the deceased person throughout his or her life. This booklet can also be used during the service. Everything you are planning to read or use to talk about the deceased person can be printed in it. More common today than in years past are slideshows and photo collages being part of the memorial service. Looking through old photographs and gathering them for a photo collage is a wonderful way to bring family and friends together after the death of a loved one. If you are computer savvy, take these images and create a slideshow to music. There won't be a dry eye in the house when it's over. Not a requirement, but a reception following the service is a nice way for attendees to relax and chat. Since memorial services can be extremely solemn and emotional times, many folks need unwind. What better way to do this then with a reception. You don't need a full three-course meal, but finger foods, simple beverages and desserts should be on the menu. If you have a guestbook available for attendees to sign, make sure you follow up by sending out thank you notes to each person. There is no time frame as to when these should be done, and if need be, enlist the help of a close friend or family member. 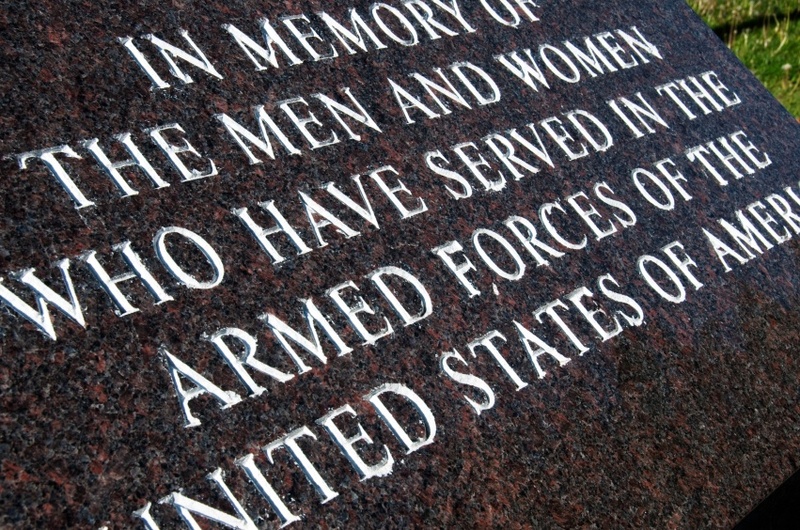 When a member of the military dies -- whether on active duty or retired -- his or her memorial service should be centered about the branch of the Armed Forces that was served. Military songs and memorabilia should play a large part in this type of service. Again, this can be an extremely emotional event, especially if the deceased was killed in the line of duty. Planning a memorial service for a child who has died will take extra sensitivity. No one likes to attend services for a young one, so this memorial can be a time to celebrate the child's life, no matter if he or she was stillborn or a young adult. Bright colors, cheery music and even reading the child's favorite stories can all be part of this ceremony.